Description: Mec Reloading 844716 600 Jr Mark 5 Single Stage Shotshell Press 16 Gauge 2-3/4" The MEC 600 Jr. has features normally found only on the high-end models making it one of the most popular, economical single-stage shotshell reloaders on the market today. Fast and efficient operation allows loading eight to ten boxes per hour, plus easily upgrades to the 285 CA primer feed system, which eliminates the need to handle each primer individually. 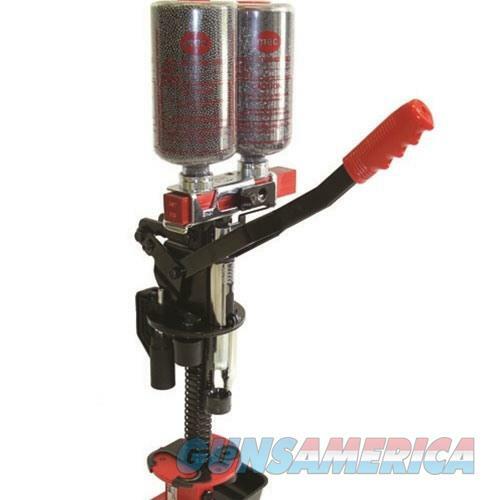 Adjustable for 3" shells, and available in 12, 20, 28 gauge and .410 bore. Includes 1 Charge Bar & 3 Powder Bushings.